Joacă gratis March of War, descarcă clientul jocului de pe pagina oficială! March of War is a free-to-play turn-based strategy MMO. The game started the closed beta on April 1 2013. 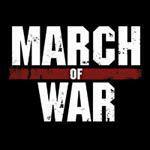 March of War will be released for PC, MAC, iOS and Android in Q2/Q3 of 2013. You can play the game across these platforms, so if you start a game on you PC you can continue it on you iPad. You will need to download a client to run the game. How you can do this will be explained as you make an account.